I read an interesting article recently about a recruiter that became furious when a candidate, who had originally accepted a job offer, reneged after reading multiple negative online reviews about the prospective employer. Apparently the recruiter became extremely belligerent to the candidate, seeing an expected paycheck fly out the window. Where to begin listing what’s wrong here? The recruiter works for the employer, not the candidate. Therefore the candidate is under no obligation to do anything at all, much less accept a potentially bad job offer. The candidate is however expected to be professional during the recruitment process, but that is up to the judgment of the recruiter. The candidate should put his/her best foot forward when working with recruiters. There are lots of fish in the sea, and regardless of how one perceives themselves, often times they are just a number among many numbers of candidates. Not to mention likely burning the proverbial bridge with a recruiter that secured them a real job offer – not a guarantee in today’s job market. Why didn’t the candidate check out Glassdoor during the interview process? Employers seek workers who are detailed and thorough in their jobs. The time to research a potential employer is BEFORE, or at least during the recruitment phase, not after. That alone should have alerted the recruiter that this just might not be the best candidate for the position. But in reality, the recruiter’s responsibility is to present multiple viable candidates to the employer, and hope one is hired (and works the obligatory 30 days before getting a big commission check). The employer’s duty is to ask the right questions and make judgements based on the candidate’s responses. And probably the single most asked (and often first) question is “What do you know about our company”, or something similar. Was that question asked? Back to the recruiter. 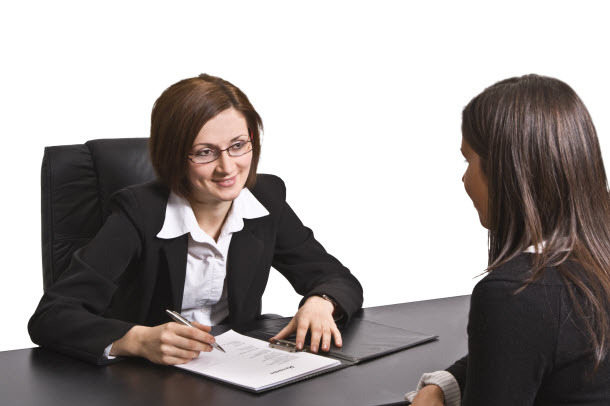 One of a recruiter’s responsibilities is to prep the candidate for the first interview, not unlike a lawyer prepping a witness for interrogation. One of their first tasks is to ensure the candidate learns all they can about the prospective employer. Was that done? It is one thing for some disconcerting new news to suddenly appear about an employer (bankruptcy filing, big law suit, etc.). It is entirely another thing to not use the Internet or your public library to determine if the company is a right-fit or not. Glassdoor.com is there for a purpose, and even though one cannot rely entirely on their reviews (especially if there are very few reviews about the company), it is one valuable resource. If many complaints have been filed against an employer (via Glassdoor or other source), is it the obligation of the recruiter to initially inform the candidate? That’s a tough call since the recruiter is essentially working as an employee for the company (at least as a 1099 worker). What if the candidate actually asks the question? Should the recruiter then disclose negative information? My opinion is yes. Eventually, if negative information comes out during the process, and the candidate declines the offer or drops out of the running, then significant time is wasted by all parties. The bottom line is recruiters should provide prospective candidates with as much information as available to help determine whether an opportunity is a good fit. Candidates must also do their own due diligence early in the process, for the same reasons. Professionalism, thoroughness, honesty, and candor on both sides of the fence would have prevented this situation from ever occurring. In the end, some candidates may be inclined to accept virtually any job offer, particularly in hard times, and may therefore intentionally ignore the negative signs. But even if this is the case, at least they will be better prepared to handle whatever is thrown their way.